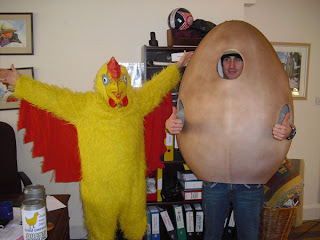 So chicken week begins, and this is how our office is looking today! If you're in Brighton today, keen an eye out for our chicken swimming in the sea - serious stuff this fundraising! Keep checking back to see what he's getting up to, it's going on all week. To see why he's doing this, check out our justgiving site here, and please donate what you can!